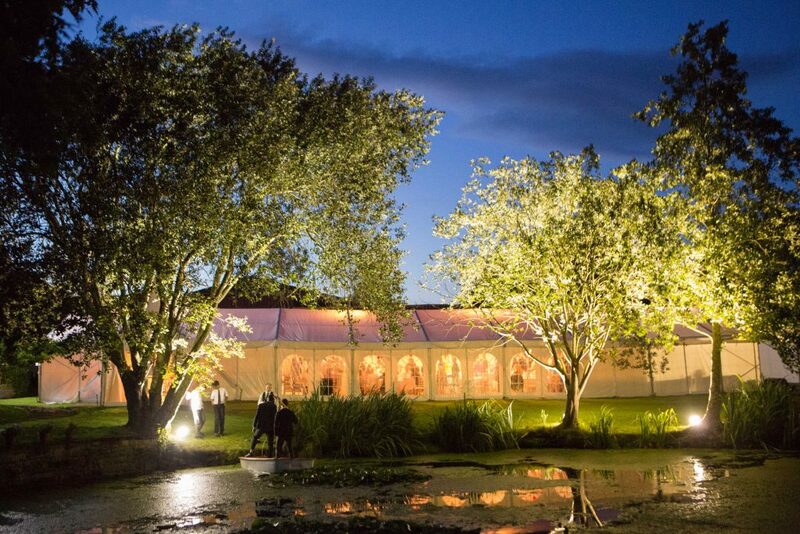 Lighting can make a special marquee and location look even more amazing. We have a few different styles of Chandeliers but our most popular are our Brass or Crystal ones. 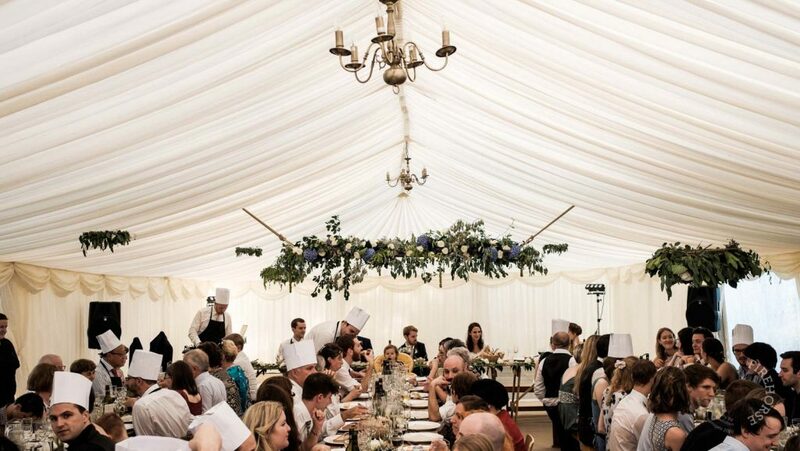 Our elegant Chandeliers are adjusted in brightness by a dimmer system ensuring that your marquee can be utilised as a seating and eating area as well as a night time party area. The interaction between our Starcloth and Chandeliers provide the perfect ambience for your special event. 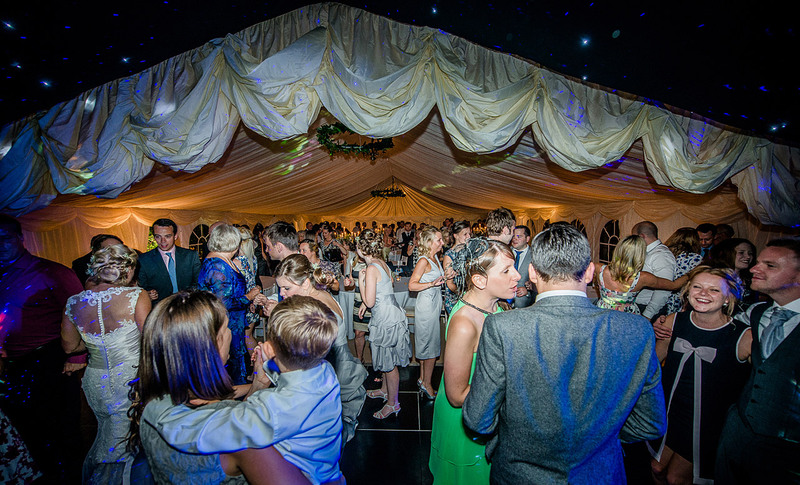 Starcloth linings can be throughout the whole marquee or they are typically used above the Dance Floor. The sparkles that the in-built L.E.D lights provide bounce off our gloss dance floors perfectly to add that special feeling that only a marquee can create. Our Starcloth can be used together with black lining walls or in conjunction with our ivory walls. 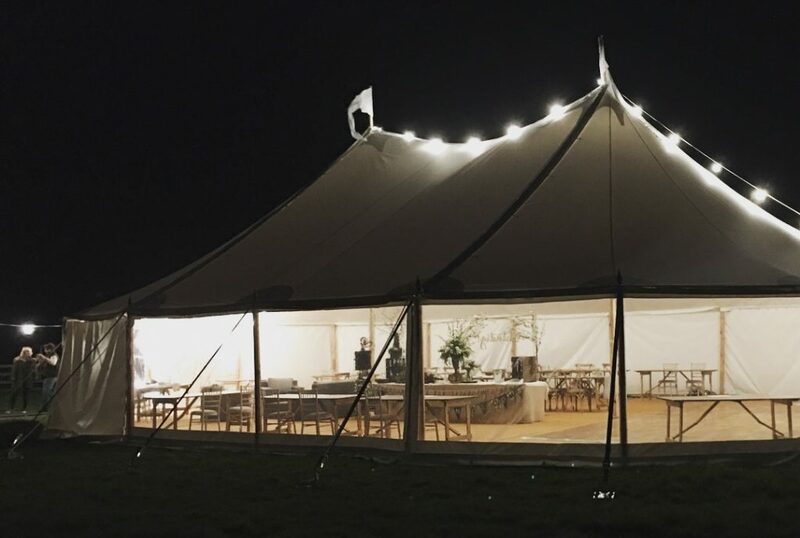 To separate the dance floor area from the main area of your marquee we can provide a Reveal Curtain which can be raised or lowered in seconds. Uplighters can be outside of your marquee to light up surrounding trees, shrubbery or architectural features. However, they are more commonly used inside the marquee to provide soft glow background lighting. We can provide coloured gels to our Uplighters to subtly tint the linings to your exact colour scheme should you wish. This very high-powered lighting is fantastic for illuminating large trees or buildings. It’s often a relatively low-cost optional extra but can really give your event the ‘wow’ factor! 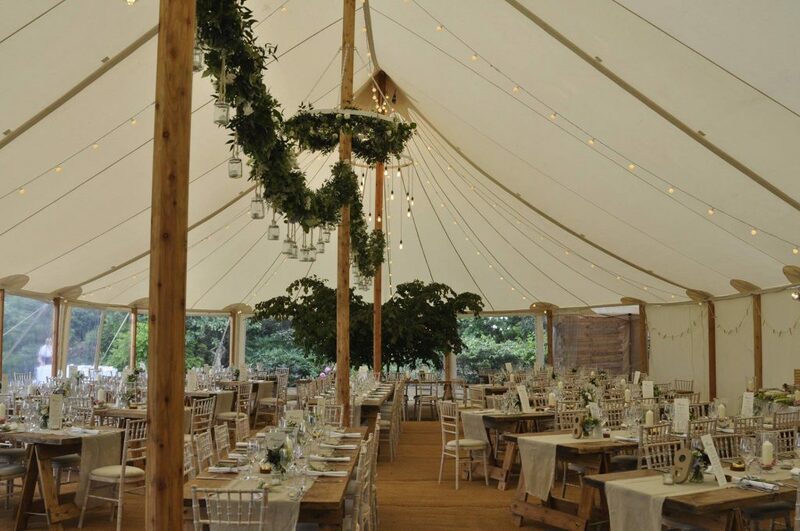 Looks great draped around the roof of a marquee, over the top of a Pole Marquee on the outside or used for walkways. Equally, it looks amazing crisscrossed above outside chill out areas. So fashionable and so gorgeous. 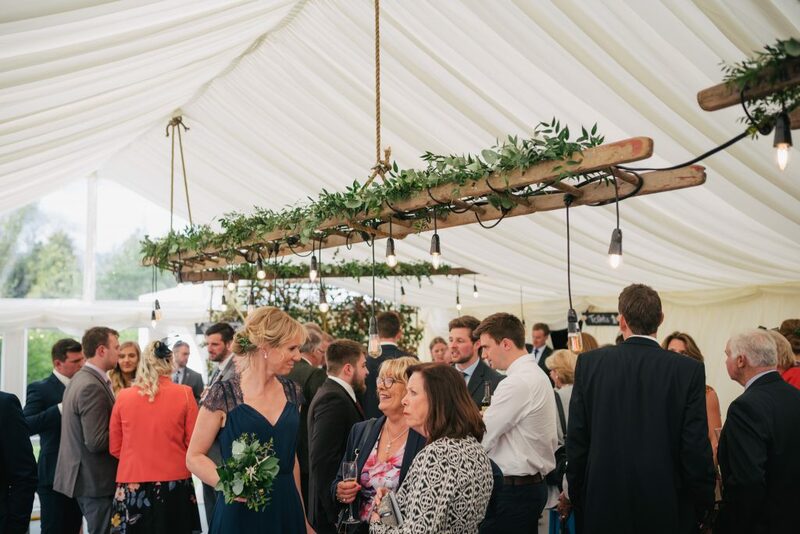 Our Filament Lighting is used inside a marquee in conjunction with things like Wooden Ladders, Hemp Rope or around Flower Rings for an industrial-style interior. 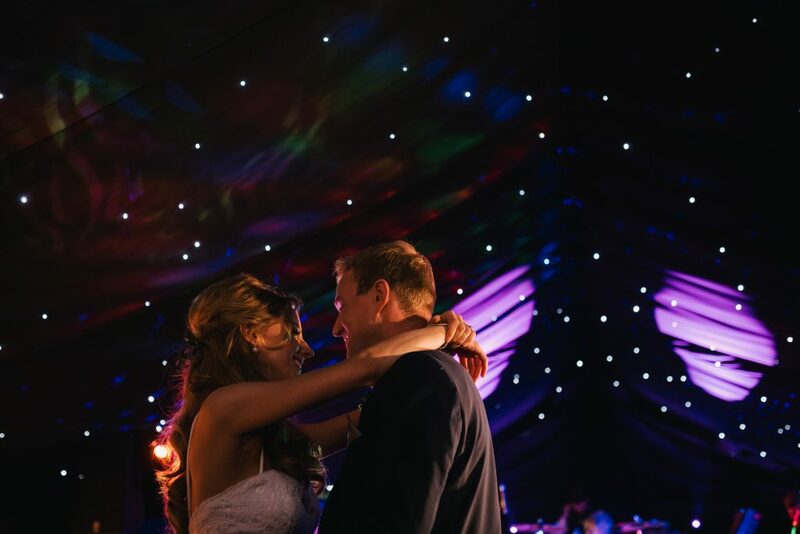 Fairy Lights look magical draped above a dance floor area or even through the roof of the whole marquee.